GetTeach Reformation history with a catchy tune that helps the facts stick in students’ minds! 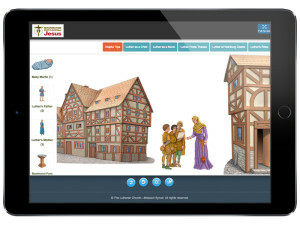 With Reformation Rock, students learn the entire story of the Reformation. Written by Michael Bridges and performed by Lost & Found, the song covers topics such as how Luther’s beliefs differed from the Catholic Church’s, the influential people and notable events that marked the Reformation, and the role Gutenberg’s printing press played in spreading Luther’s teachings across Europe. Teachers and parents: want more teaching tools?